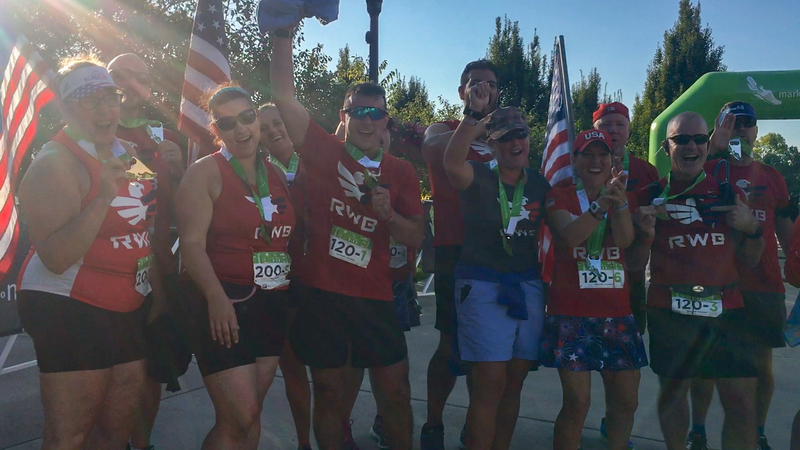 Team RWB Cinci knows that their team is bigger than the 7-person matrix who crossed the line at this year’s Market to Market Relay. Red White and Blue Cincinnati is just one branch of RWB, whose mission is to reintegrate vets into civilian life. “Even if you weren’t in a combat zone, there’s a level of grief involved in leaving military life. You’re leaving people you were prepared to die for. Vets are predisposed to isolation, depression, and PTSD.” Sean Callahan isn’t just a compassionate heart, but a retired vet himself. This was Sean’s first relay race, and while it came with a few unexpected obstacles, it came with zero regrets. The run may have been a bit more challenging, but when you’re running with purpose, you’re running strong. RWB is more than a team. They’re a family, and nobody runs alone.